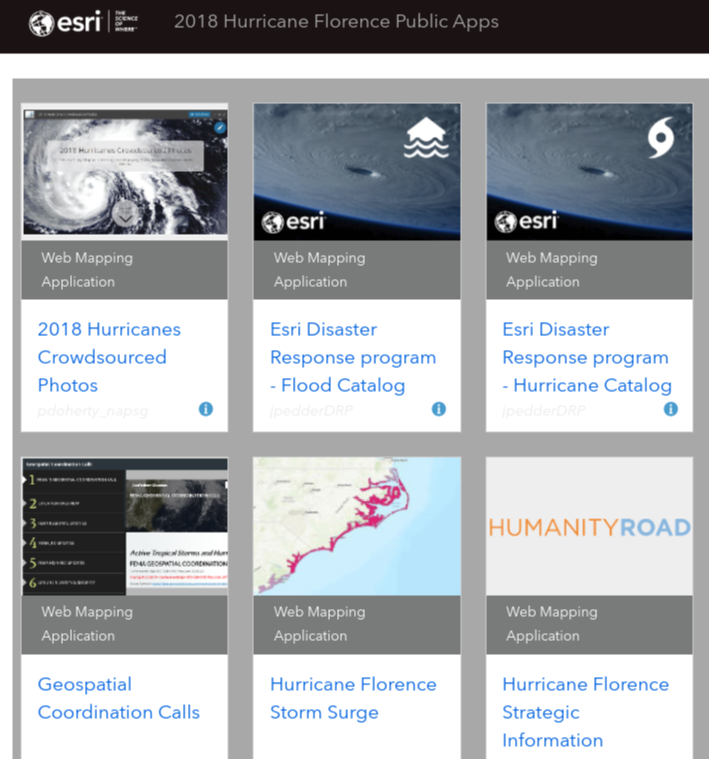 With a number of communities experiencing damage and subsequent flooding from the recent hurricane (Florence), it’s useful to remember Esri has a Disaster Response program where you can request assistance and additional support. Community organizations, technologists, and others have made data, maps, and web apps available to the public through this platform. A storm like Hurricane Florence makes great demands on mapping technology. For example, mapping technology helps prepare for the winds and rain, plan rescue efforts, and is crucial in the aftermath. 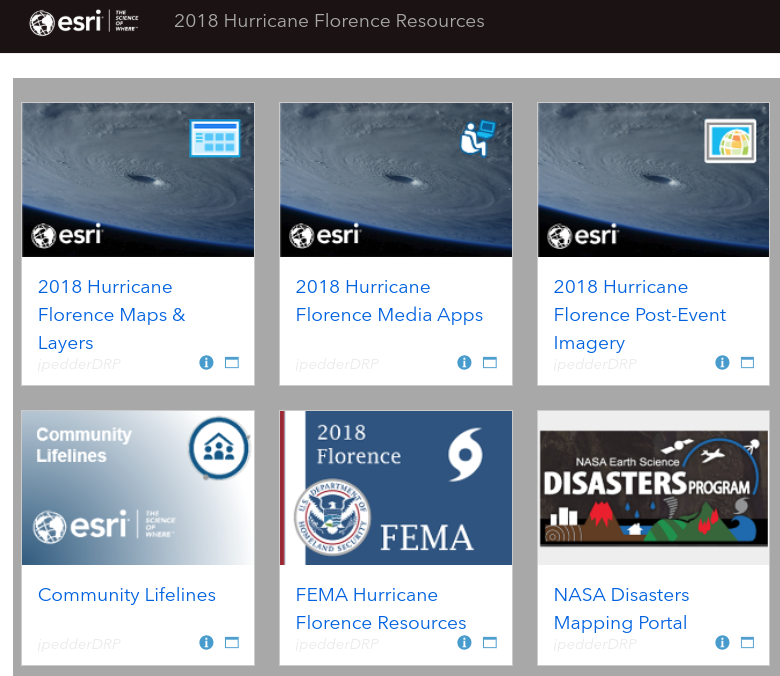 In fact, Esri, along with others, are responding to Florence by creating a number of useful applications and tool kits. Furthermore, they are gathering and sharing data that can be used by others that have been impacted as well. Some examples of apps created include the projected storm path, wind speeds, and projected rainfall. Another useful resource, below is a Story Map for collecting and displaying 2018 Hurricane Crowdsourced Photos. The GISCorps and NAPSG Foundation power this application. 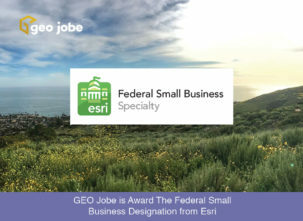 The resources made available by Esri (web maps, apps, etc) are also available directly via an ArcGIS Online Group. 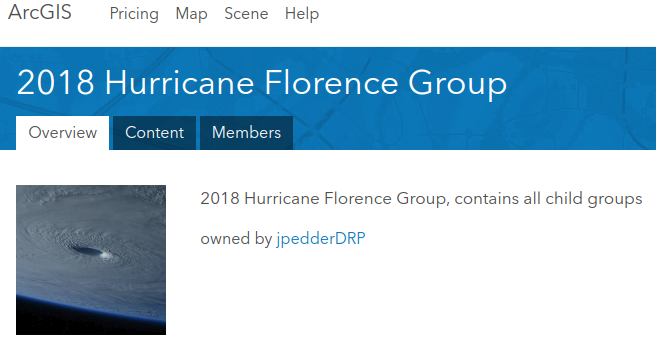 Agencies and agency technologists working on disaster response for Hurricane Florence are encouraged to join this group in order to access community resources, data and more. Join the group here. For Esri customers and client organizations impacted by this latest disaster, you can submit your request for assistance from the Disaster Program using this request form. 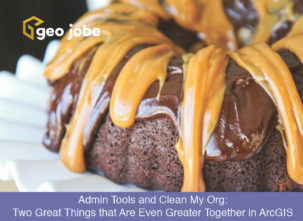 We know that many of the communities and organizations being affected by this latest disaster are also users clients of ours as well as users of Admin Tools for ArcGIS Online. In fact, we’ve noticed many of our recent provisions of Admin Tools from the ArcGIS Marketplace are from organizations doing work in impacted areas. We’re proud these organizations find our tools valuable and are glad to assist and provide technical support to users however possible.